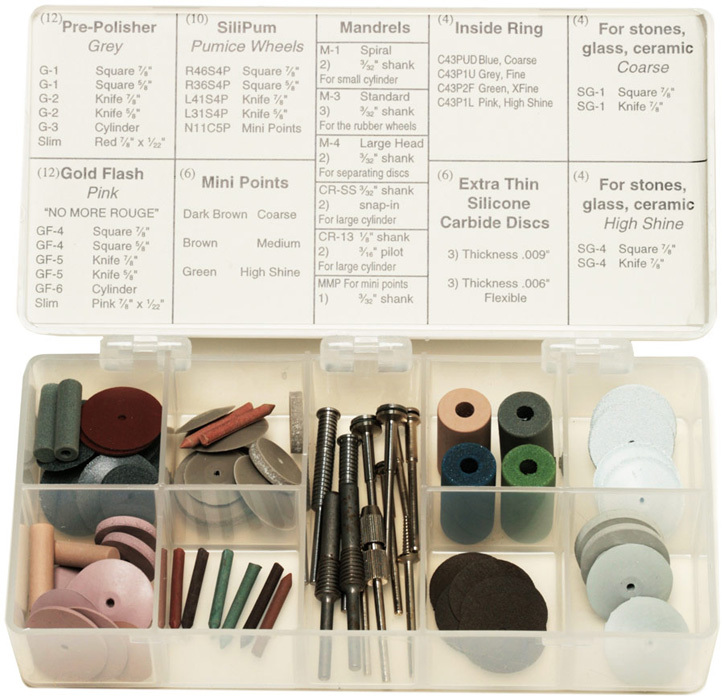 An intro kit containing 44 pieces for jewelers. 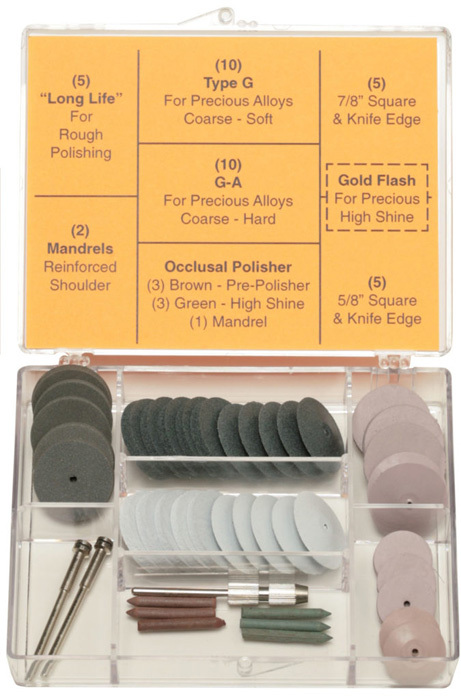 Includes pre-polishers, high-shine polishers, 3mm minipoints, standard mandrels, and non-precious polishers. 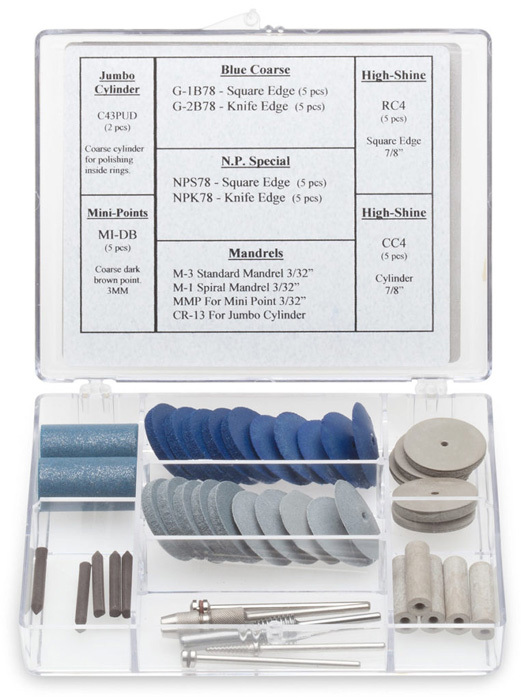 An assortment of polishers for non-precious metals including stainless steel, chrome and cobalt, and tungsten. 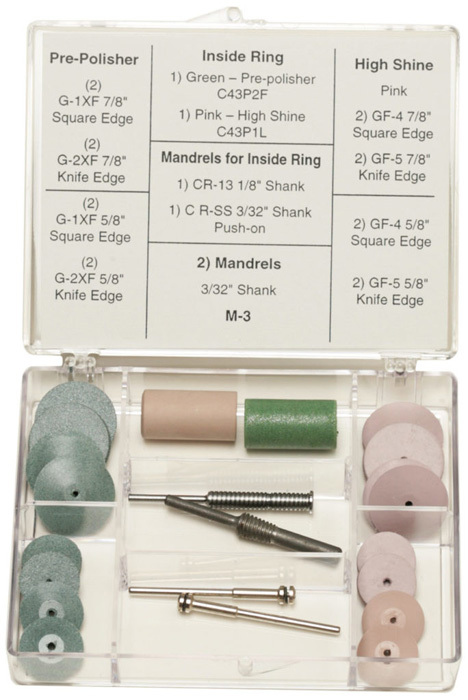 Items include pre-polishers, high-shine polishers, inside ring polishers, 3mm minipoints, and mandrels.